Machined head has self aligning zinc drawbolt for easy blade installation. 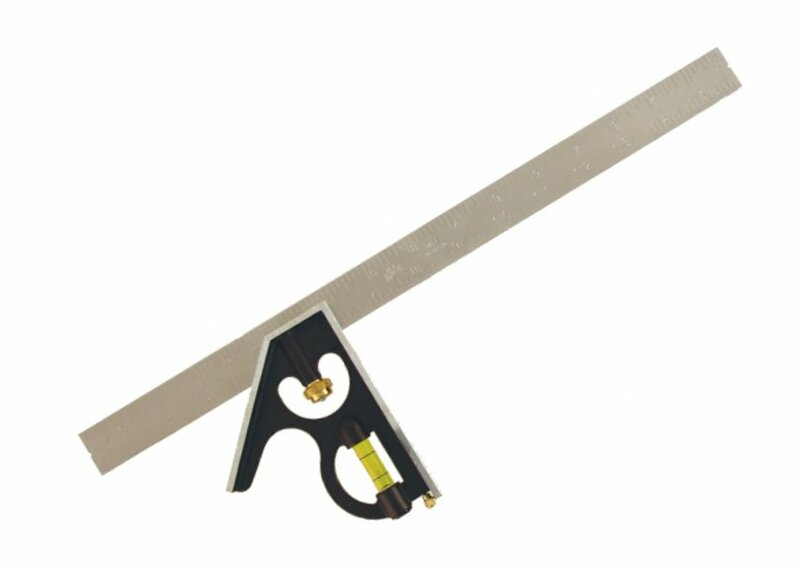 Satin finish steel blades are precision stamped in eighths and sixteenths on each side. Level vials are durable acrylic.